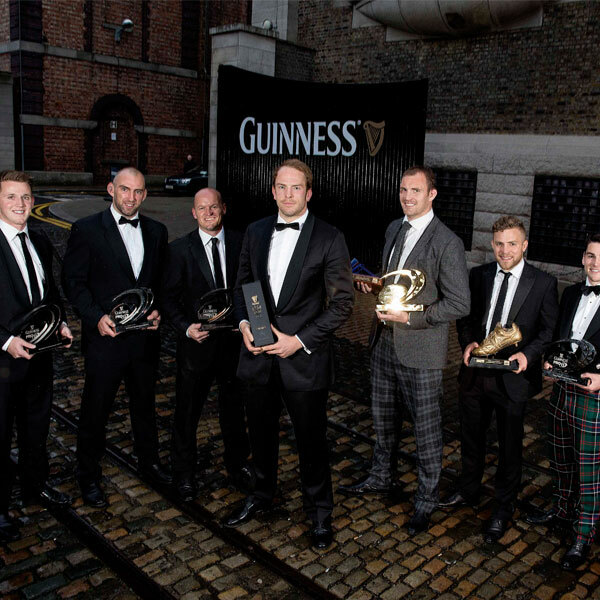 The leading top flight rugby union players are celebrated at the Guinness PRO12 Awards. 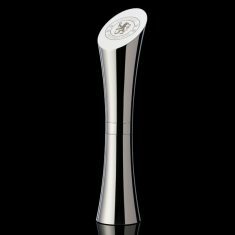 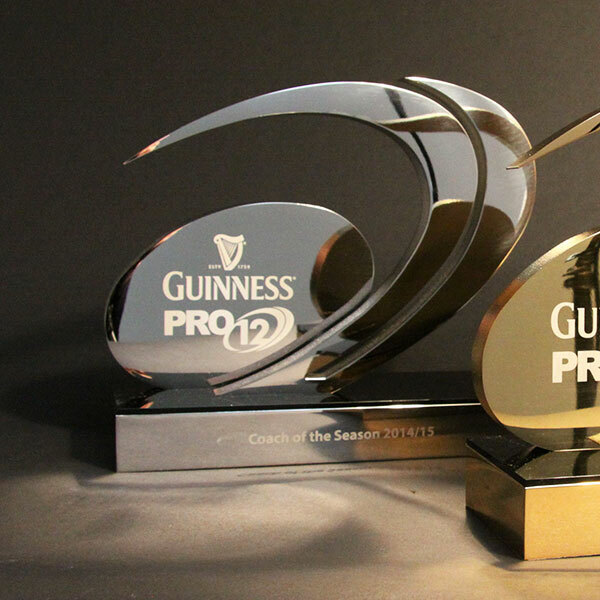 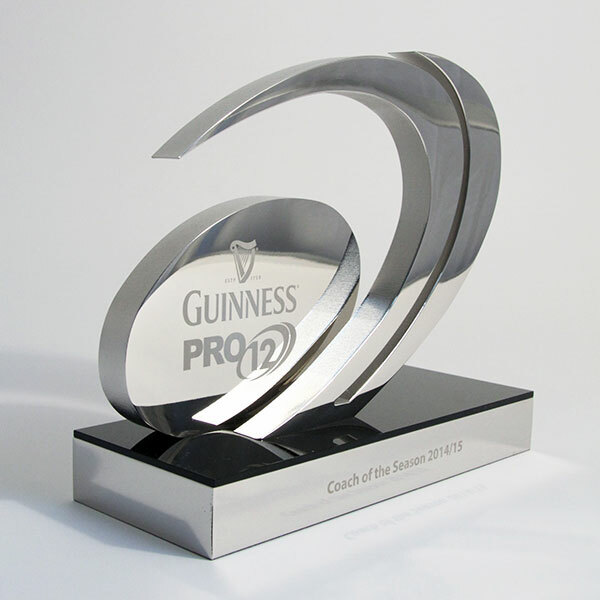 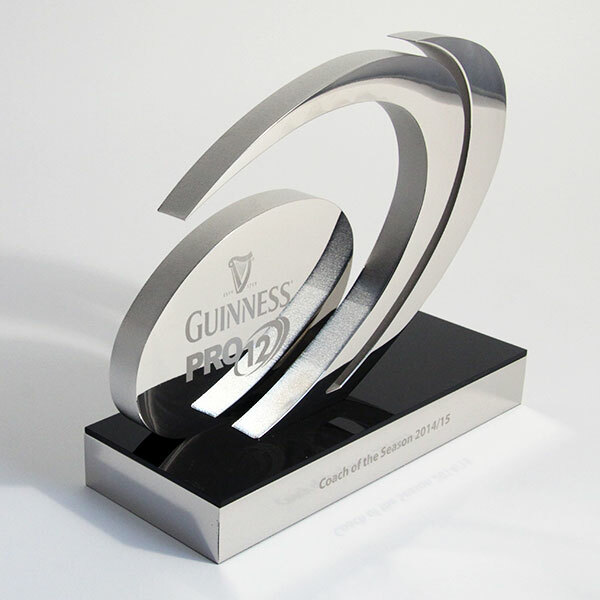 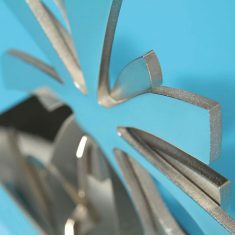 The EFX designed trophies feature the PRO12’s distinctive ‘swoosh’ as well as the competition’s logo, which contains the branding of title sponsors, Guinness. 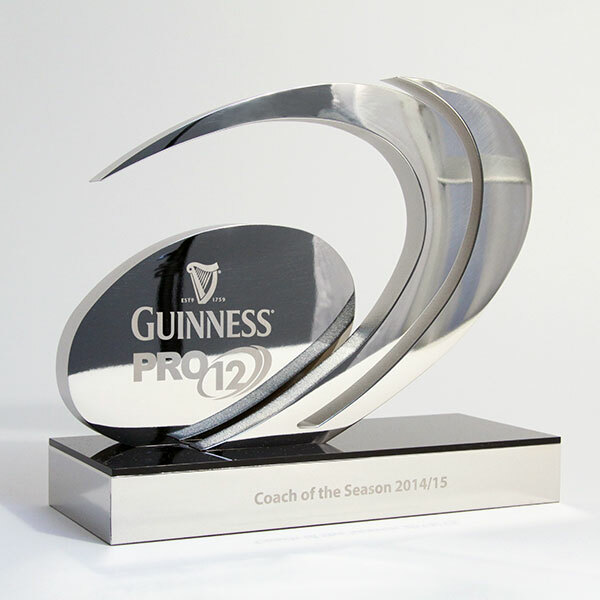 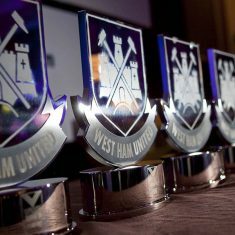 This is laser engraved onto the cut-out body of the trophy and is complemented by a shiny black acrylic plinth cap. 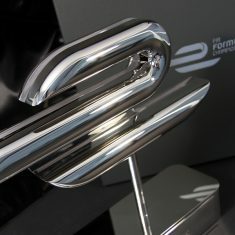 Two versions were made: mirror finished silver (nickel plated aluminium) and gold plate.